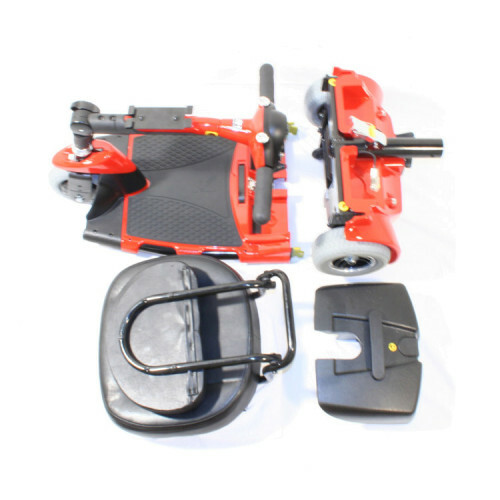 The Zip’r 3-Wheel Travel Scooter from Zip’r Mobility is easy to transport, easy to assemble and very easy to use. 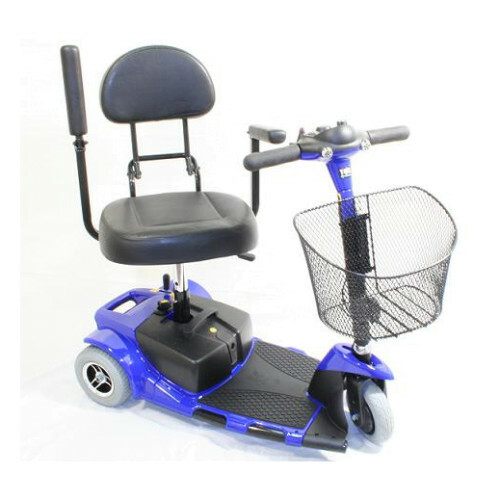 This scooter was designed and manufactured around the concept of “Simplicity in Mobility." 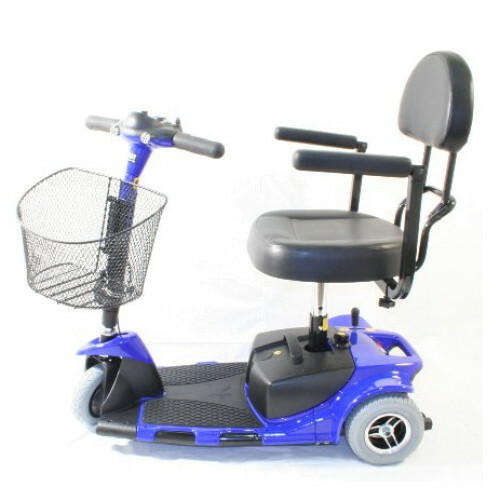 The stylish Zip’r3 includes a full body shroud in red or blue and non-flat non-marking tires so you can take advantage of the tremendous 30” turning radius indoors or outdoors. 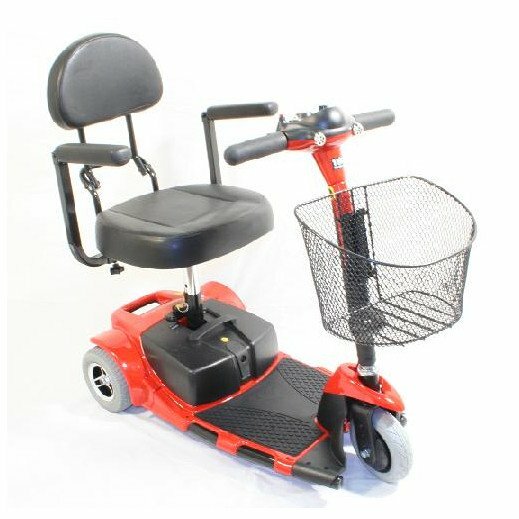 Also the Zip’r3 is the only portable travel scooter that includes a safety headlight, expandable seat arm rests,and front and rear basket brackets standard! The high quality Zip’r3 will provide you with years of enjoyment and performance. 16.5" x 14.5" x 17"